Your visit starts with the doctor asking for your medical history, including any prescription or over-the-counter medication you may be taking. It’s very important for your CMWL doctor to understand your overall health when designing your personalized plan. The doctor will ask you to step on a special scale that will give you a total breakdown of the percentages of fat, muscle, and water in your body. Your resting metabolism and blood pressure will also be taken. This gives your CMWL doctor a baseline of where you’ll start your weight loss plan. 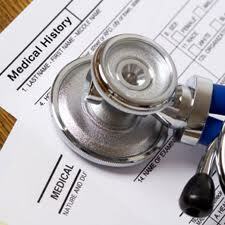 Finally, your CMWL Doctor will review your medical history and BCA results, and then will sit down to get to know you. This is the time to open up about your weight loss goals and challenges, and what you truly want to get out of a weight loss plan. In order for your CMWL Doctor to design your personalized plan, he or she needs to get to know the whole you. At the end of your visit, you'll have a plan, personalized just for you! If you decide to move ahead with your personalized weight loss plan, you’ll not only be following a medically proven weight loss approach, but you’ll be building a relationship with your CMWL doctor, who will be your greatest support throughout the process. 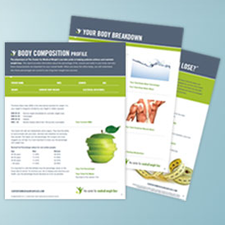 Program Details See how our plans can help you lose weight and keep it off! Common Weight Loss Questions Answers to commonly asked questions.